Dr. Adrian Ellenbogen , Clinical Assistant Professor in Obstetrics and Gynecology at the Rappaport School of Medicine, Technion- Israel Institute of Technology, Haifa, Israel. Founder and Director (retired) of in vitro fertilization unit at Hillel Yaffe Medical Center, Hadera, Israel. 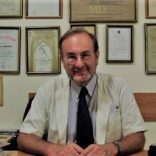 Director of the postgraduate course in Obstetrics Gynecology and Infertility, Rappaport School of Medicine, Technion- Israel Institute of Technology, Haifa, Israel. Member of many international (ASRM, ESHRE, ISMAAR, ISIVF, ISGE) and national societies (Israeli Fertility Association, Israeli Society of Obstetrics and Gynecology). Editorial Board Member of the Journal of Reproduction System & Sexual Disorders. Reviewer: Fertility and Sterility, the Journal of Reproduction System & Sexual Disorders, Harefuah, IVF Lite. Dr. Ellenbogen presented more than 110 lectures in different international and national scientific meetings and published many peer review papers in top rated scientific journals. He has a special interest in in vitro maturation of oocytes, poor responders, PCOS , IVF outcome, pioneered IVF treatment with minimal stimulation and egg donation law in Israel , researching and publishing in these fields. Received 2003 Israeli Ministry of Health and Israeli Civil Service Commission Award for Excellency in labor. Receives 2012 and 2013 , 2014 and 2015 Star Award of American Society of Reproductive Medicine.